Heanssler Oil Company has been purchased by Percy L. Brown and Son. Percy L. Brown and Son has acquired Heanssler Oil Company, according to a letter issued by company president Raegan Heanssler and treasurer Larissa Heanssler to Heanssler customers a couple of weeks ago. According to the letter, the succession plan for the company began to form when their father, Donn Heanssler, was having health issues. Percy L. Brown and Son meets all of the qualities they were looking for, and the official purchase was made a month ago. “We have aimed for a smooth transition and have appreciated [Percy L. Brown and Son] support since our father’s death,” the Heansslers wrote. 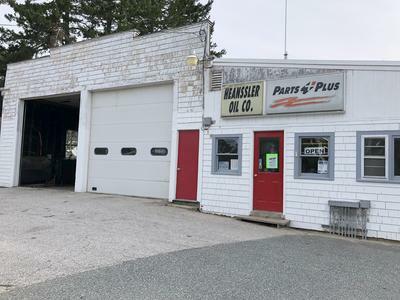 The customer service and dedication to their customers will not change, said Heanssler, who added that she will continue to be in the shop on a daily basis. “I think that’s one thing people have been asking me the most, is if I’m just going to go somewhere else,” she said. Laurel Allen of Percy L. Brown is an addition to the Heanssler Oil shop, and the transition of combining the two staffs has gone smoothly for the most part, both Allen and Heanssler noted. “I think some things may be a little different, but overall it’s gone fine, I’d say,” said Allen. “Nothing drastic has happened, for sure,” added Heanssler. An open house has been planned for Friday, September 28, with an official time to be announced soon.